Pir Mohammad Abdul Ghafoor Shah was born in Dera Ghazi Khan, Pakistan (then India) on 9th July, 1827 (14th Dhul al-Hijjah, 1242 Hijri). His genealogy eventually links back in twenty-six steps to Holy Prophet’s uncle Hamza ibn Abdul Muttalib. Since childhood Pir Abdul Ghafoor Shah was completely inclined towards religion. Till the age of eighteen years he had acquired almost entire religious education. Even then his soul was restless and his urge to find the Divine reality was increasing day by day. At last, at the age of twenty-five years he had the privilege of seeing the Holy Prophet, Sultan Bahoo and Shaikh Abdul Qadir Jilani in dream. Thereby, the Holy Prophet ordered him, “You have been chosen for entrusting the Trust of Faqr. So, go to Ahmedpur East where Sayyid Abdullah Shah is waiting for you”. On waking up he immediately set on journey to Ahmadpur East as per given orders. 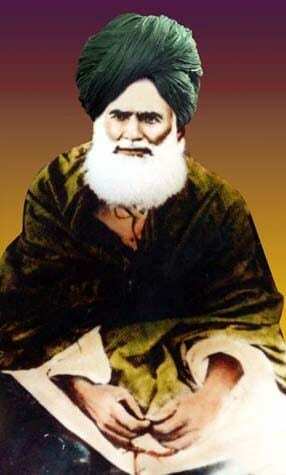 Pir Mohammad Abdul Ghafoor Shah finally reached Ahmadpur East in 1851. There, he took oath of allegiance upon the hand of Sayyid Abdullah Shah and started serving him wholeheartedly. Thereafter, he remained in his service for about nine years. Under the guidance of Sayyid Abdullah Shah he ultimately reached the extremities of Faqr. Hence, Sayyid Abdullah Shah, before his death in 1860, passed on heritage of Faqr to Pir Abdul Ghafoor Shah at the shrine of Sultan Bahoo. After the death of his beloved spiritual guide (Murshid), Pir Mohammad Abdul Ghafoor Shah migrated to Shorkot in 1861. Afterwards, he went to Mud Sharif, District Jhung, Pakistan (then India) in 1862. There, he guided thousands of seekers of Allah on the Divine path. He remained stationed in Mud Sharif for about fifty years. Thence, he blessed people with the beneficence of Faqr and Ism-e-Allah Zaat till the end of life. The Holy Prophet titled Pir Abdul Ghafoor Shah as Sultan-ul-Sabireen meaning ‘the king of enduring ones’. It was because he showed remarkable patience towards the hardships of life. Furthermore, he also endured extreme pains which his own people inflicted upon him. Pir Abdul Ghafoor Shah’s son Pir Abdul Haq compiled his poetry which is full of devotion and love for his spiritual guide Sayyid Abdullah Shah. Certainly, his mystic poetry is a masterpiece of expression of Divine realities. Pir Mohammad Abdul Ghafoor Shah entrusted the treasure of Faqr to Shahbaz-e-Arifan Sultan Pir Sayyid Mohammad Bahadur Ali Shah. He died on 21st February, 1910 AD (10 Safar, 1328 Hijri). 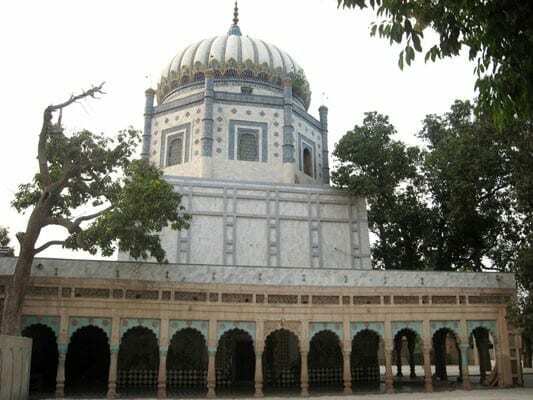 His shrine is in village Mud Sharif, thirteen kilometers towards east of Garh Maharaja, District Jhang, Pakistan. His devotees hold his death anniversary annually on the 9th and 10th of Safar. For detailed study of life history of Sultan ul Sabireen Pir Mohammad Abdul Ghafoor Shah, please study Chapter # 3 of The Spiritual Guides of Sarwari Qadri Order. Author: Sultan-ul-Ashiqeen Sultan Mohammad Najib-ur-Rehman.